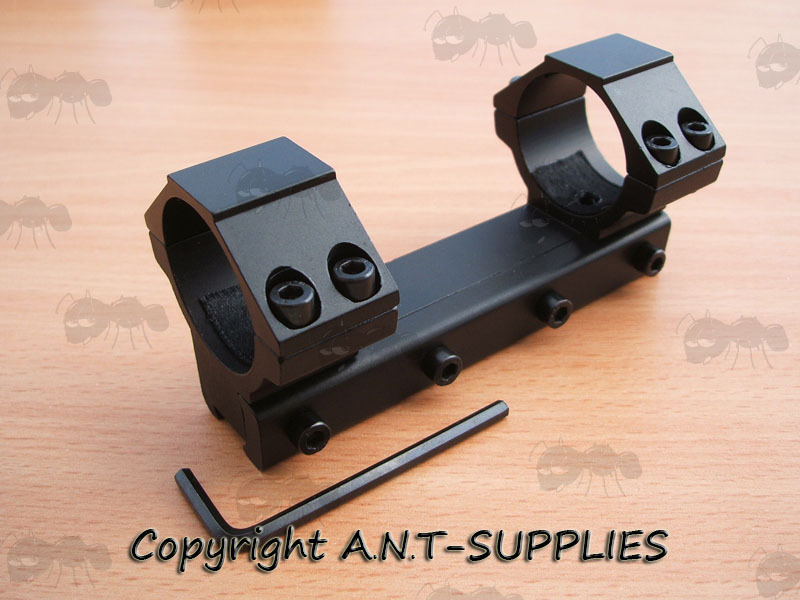 Rock solid design for standard UK dovetail rails on airguns and rifles. Ideal for gas ram or spring powered air rifles. Overall height 44mm, width 40mm. Overall height 49mm, width 45mm. Overall height 52mm, width 40mm. 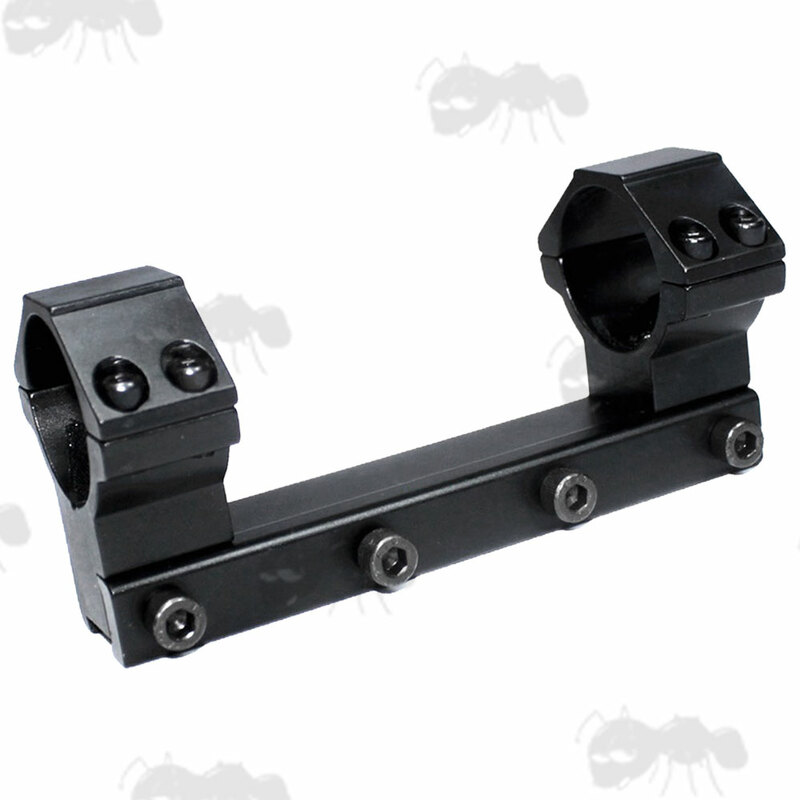 One piece double clamp mount for 9.5mm - 11mm dovetail rails. 100mm long rail with a removable anti scope creep pin. 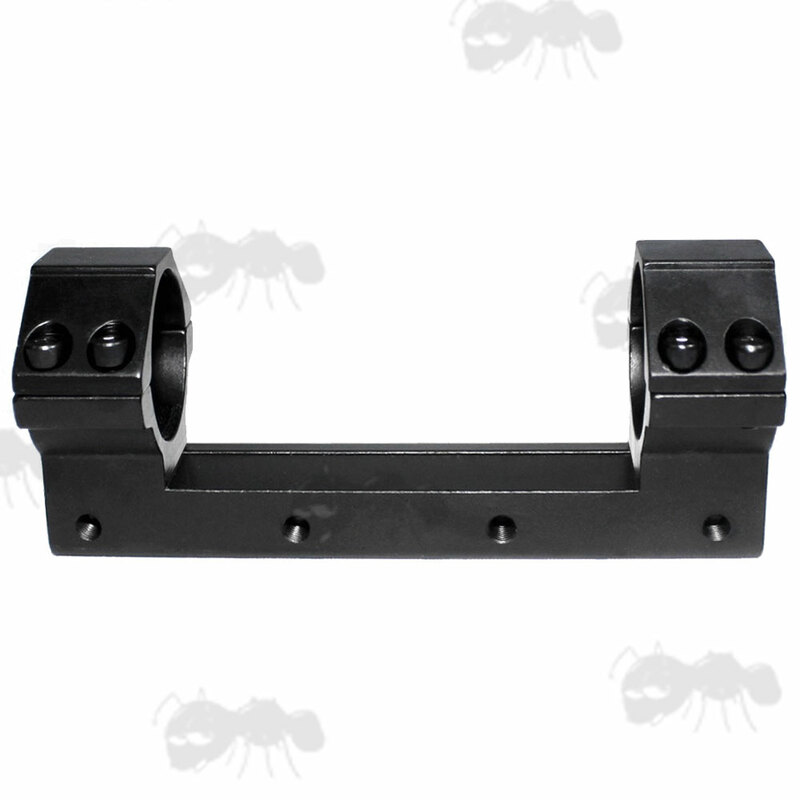 Solid design, long rail with extra-secure four point clamp. 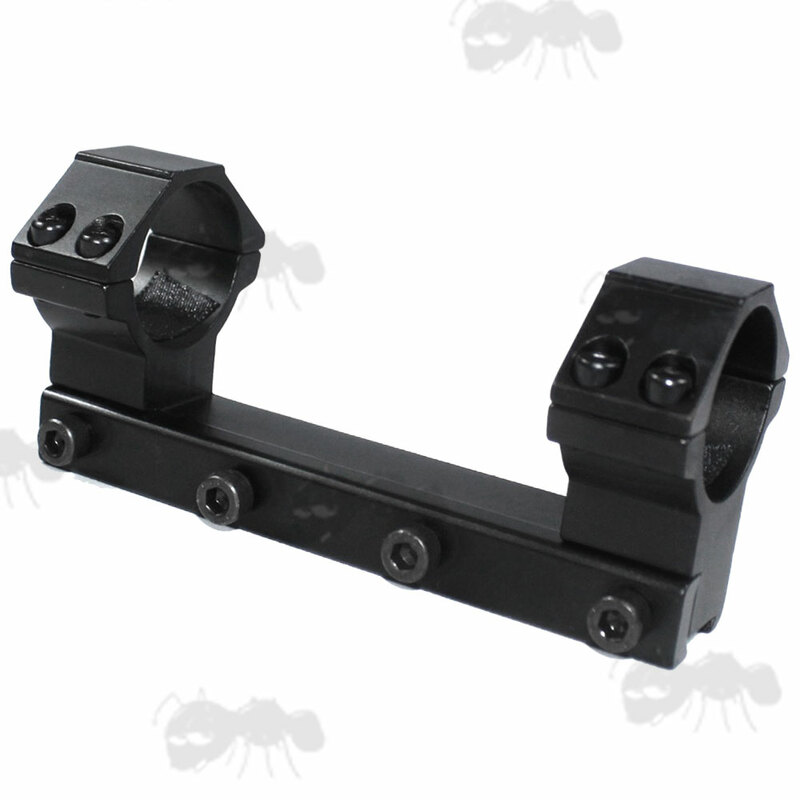 Precision machined high-grade aluminium alloy construction with a matte black finish. 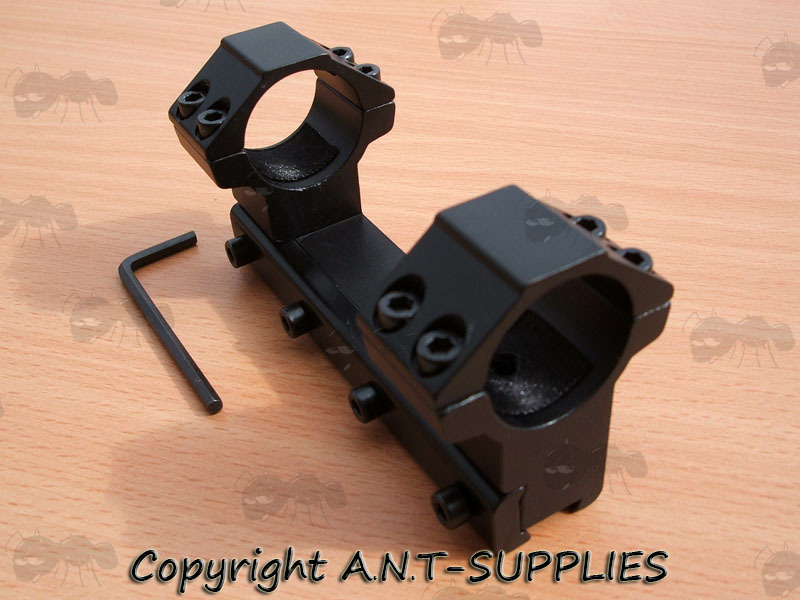 Low mounts for scopes with up to 50mm objective lens. 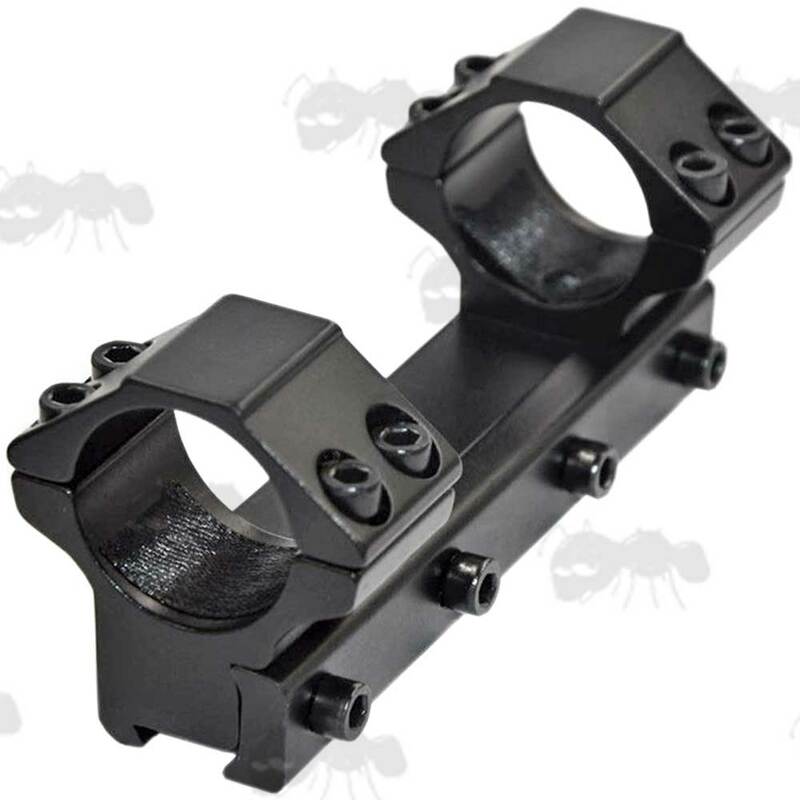 High mounts for scopes with objective lens up to 65mm in diameter. Also available as ~ two piece mounts.